RSU 5 High School Student Art Exhibit, multi-media works by more than 70 students on display during April, Freeport Community Library. Sponsored and juried by the Freeport Woman’s Club. Judging Wednesday, April 13, 2 p.m.
Freeport Shellfish Conservation Commission, Thursday, April 14, 6:30 p.m., Freeport Community Center. B2B Marketplace Expo, co-hosted by Greater Freeport Chamber of Commerce and Southern Midcoast Chamber of Commerce, Tuesday, April 19, 1-5 p.m., Hilton Garden Inn, 5 Park St., Freeport. Some 30 local businesses on hand. Seminars, new Portland Metro bus on display and more. For more information, contact stephanie@freeportmainechamber.com or vicepresident@midcoastmaine.com. Freeport Traffic and Parking Commission, Tuesday, April 19, 7:30 a.m., Town Council Chambers. Durham Board of Selectmen, Tuesday, April 19, 6:30 p.m., Town Office. Durham Historical Society, Tuesday, April 19, 6:30 pm., Eureka Community Center. Anyone interested is welcome to attend. Freeport Republicans, meet Wednesday, April 20, 6:45 p.m., at the Masonic Lodge, 33 Mallett Drive, lower level. Guest speaker is Ande Smith of North Yarmouth, candidate for the 1st Congressional District seat. Those attending asked to bring non-perishable items to donate to Freeport Community Services. Needed are men’s, women’s and children’s personal items. For more information or to be added to the email list, contact Jason Thyen, jason.thyen@gmail.com. Plant a Seed, craft project, Wednesday, April 20, 3:30-4:30 p.m., Freeport Community Library. Freeport Sewer District trustees monthly meeting, Monday, April 25, 7 p.m., treatment plant, 43 South Freeport Road. For more information, call 865-3540. Durham Board of Selectmen, Tuesday, April 26, 6:30 p.m., Town Office. Freeport Players open auditions, for female version of “The Odd Couple,” Tuesday, April 26, and Wednesday, April 27, 6:30-8:30 p.m., Freeport Performing Arts Center, 30 Holbrook St. Roles for six women and two men, ages approximately 35-65. Actors should be prepared to cold-read excerpts from the play. For more information, see www.fcponline.org/auditions/. Writer Deborah Gould, author of “The Eastern: The Early Years,” talks Wednesday, April 27, 6:30 p.m., Freeport Community Library. “Freeport’s Got Talent,” Friday, April 29, 6-8 p.m., Freeport Community Center. Lasagna dinner served as the audience views the performances by students and community members. Fundraiser for Freeport High School Interact Club’s Uganda Project, a charity that raises money to send Ugandan youths to trade school or college. Those interested in participating in the competition should contact club president Ethan Pierce, ethan.pierce@students.rsu5.org. Tickets $10, $35 for family of four. Merriconeag Poetry Festival, Sunday, May 1, 3 p.m., Maine Coast Waldorf School, 57 Desert Road, Freeport. Twenty high school poets to be honored. Run of the Royal canoe race, Saturday, May 14, beginning and ending at Yarmouth History Center, East Elm St., Yarmouth. Corporate-sponsored, four-leg canoe relay race will raise money for the Royal River Conservation Trust and its plans to acquire and improve paddling access points and shoreline habitat. Canoes and paddles provided. Food, live music, art show, raffle on site. For more information and to register, see www.rrct.org. Ham supper, hosted by Freeport Masons, Saturday, April 16, 5-6:30 p.m., Masonic Lodge, Mallett Drive, Freeport. Ham, mashed potatoes, assorted vegetables, home-made biscuits, special dessert and beverage. $9, children under 12 half-price. Durham Community Lunch, Tuesday, April 19, noon, First Congregational Church of Durham, routes 9 and 136. Doors open at 11:30 a.m. Macaroni and cheese, vegetable, homemade desserts. $2-$4 donation. Proceeds fund future lunches. General schedule is the first and third Tuesday of the month. Those interested in helping or have questions can call Julie Wagoner, 353-9715. 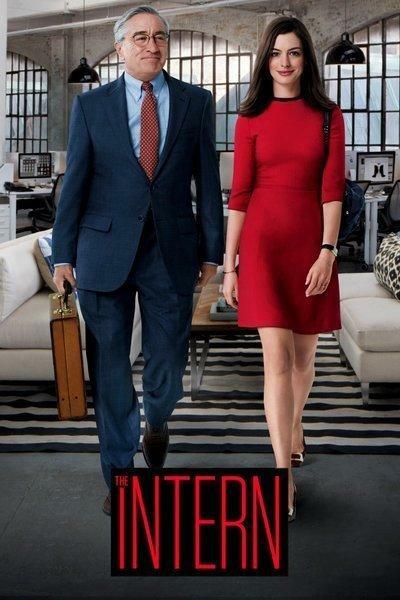 “The Intern,” a comedy starring Robert De Niro and Anne Hathaway, screens Thursday, April 21, at 1 p.m., at the Freeport Community Library.